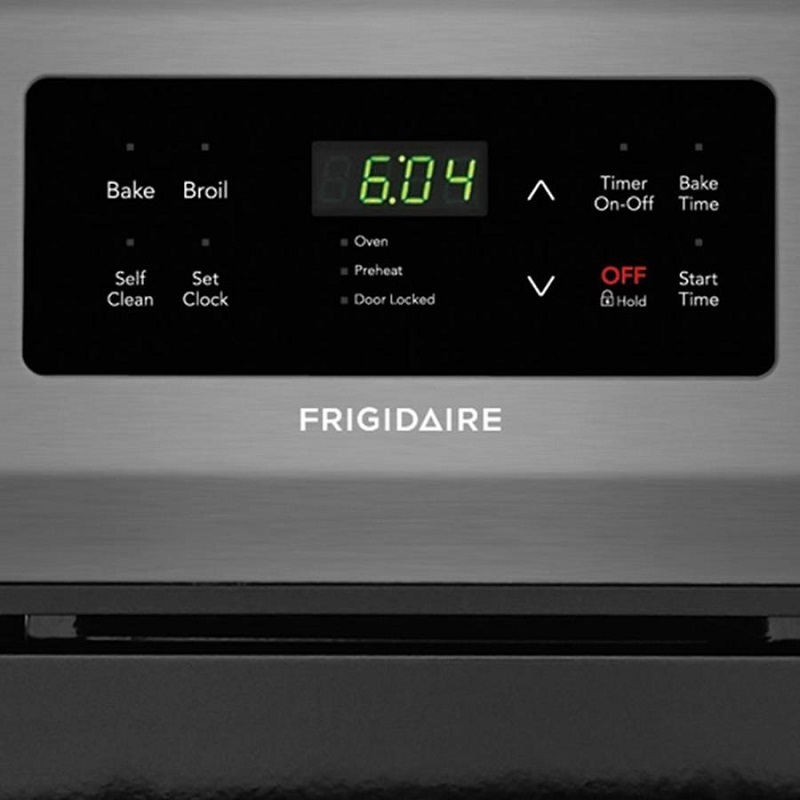 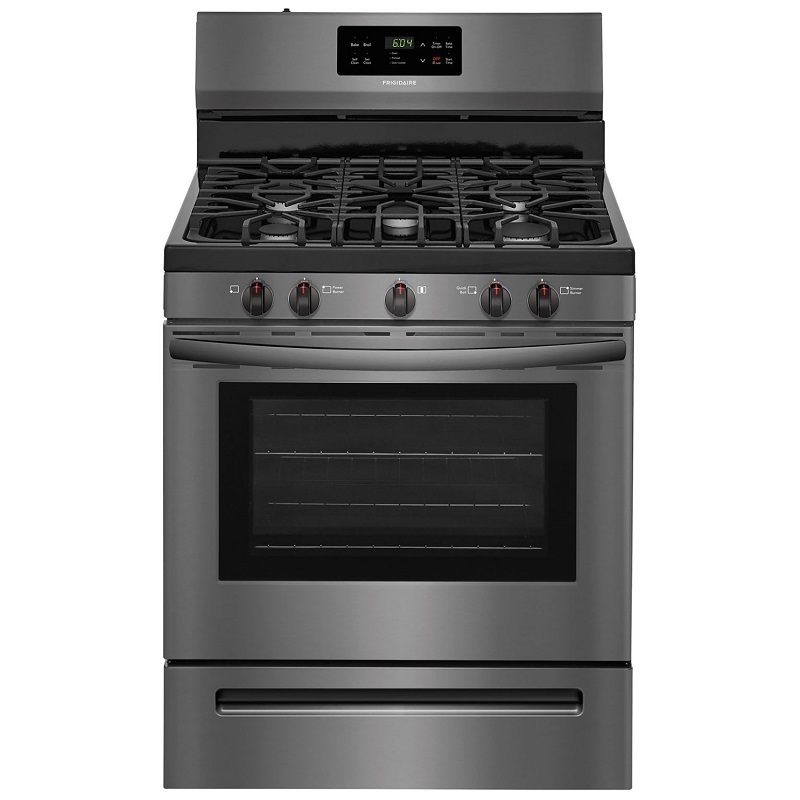 This 5-burner gas range from Frigidaire accommodates multiple dishes at once, so you can cook for a large family in less time. 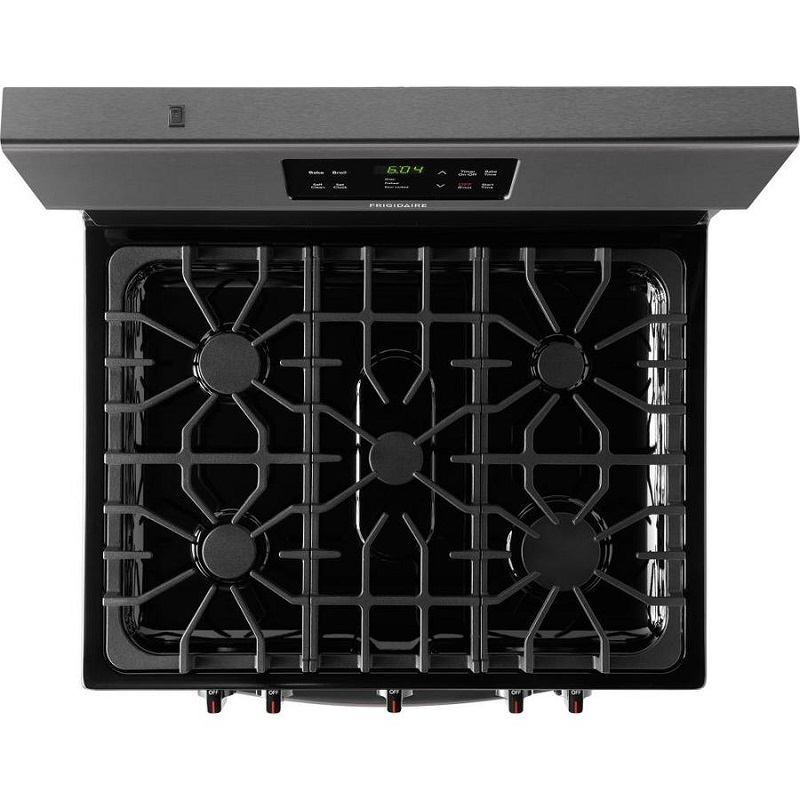 The continuous corner-to-corner grates allow you to move heavy pots and pans without having to lift them. 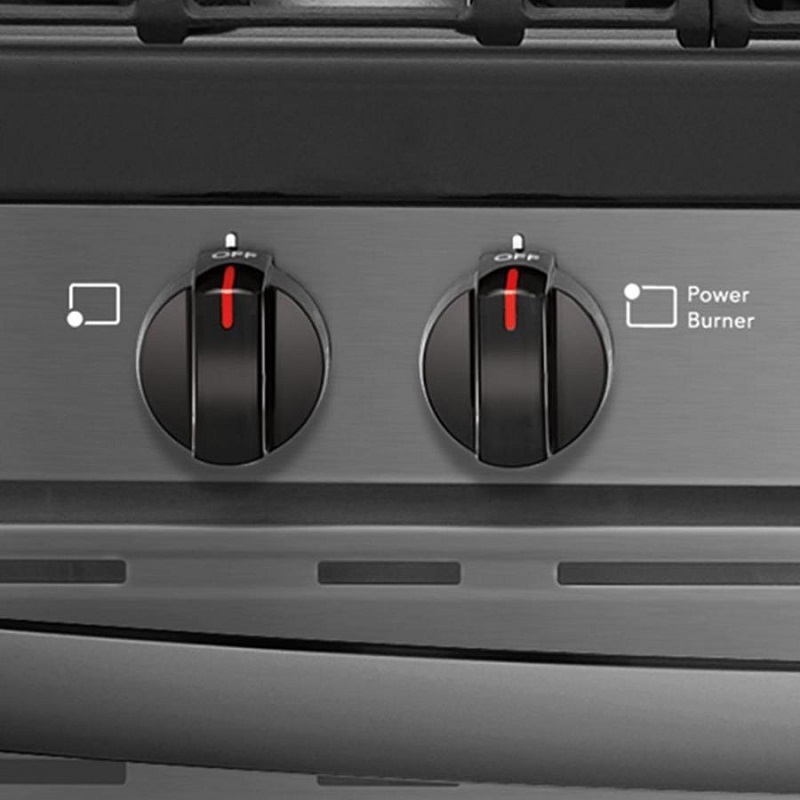 The powerful 17,000 BTU Power Burner lets you boil water faster. 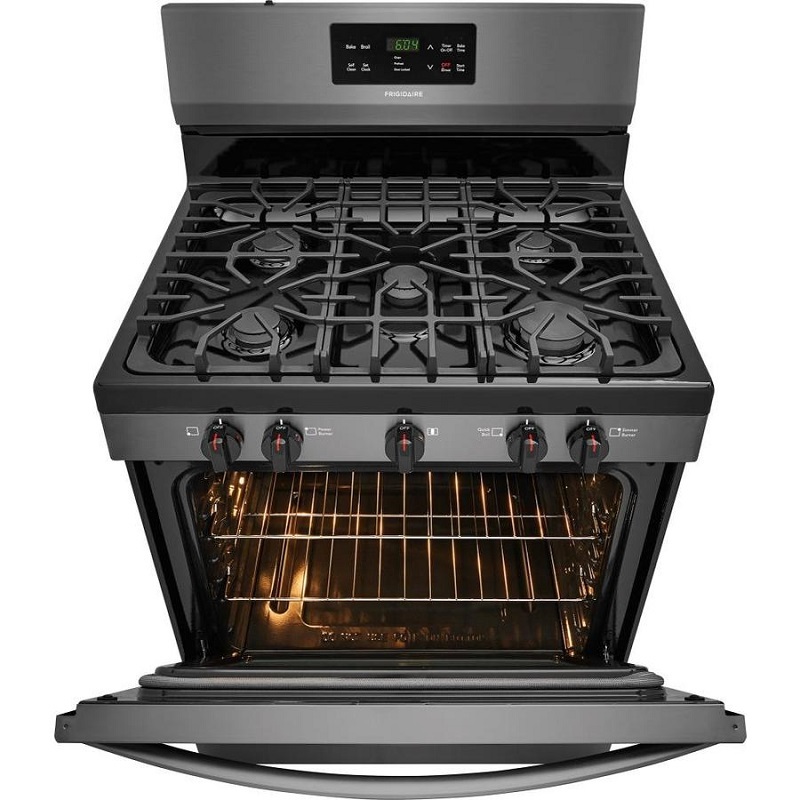 Self cleaning options available in 2, 3 and 4-hour cycles.